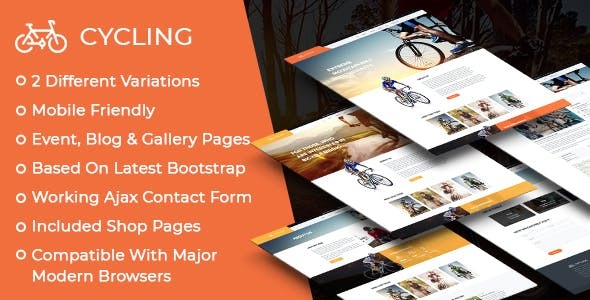 Cycling is a modern, clean and professional HTML template, It is fully responsive,it looks stunning on all kind of screens and devices. It suitable for business or multipurpose website. It comes with Valid HTML5 & CSS3 Pages based on Twitter Bootstrap grid system.It is looking good with it’s clean and fresh design. All sub pages are also customized.